Two-bay NAS for your home or small office with advanced features and a full suite of apps for a truly customized experience. 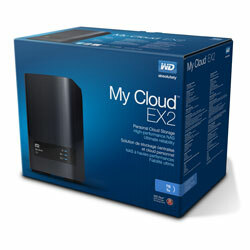 My Cloud EX2 Personal Cloud Storage – Ultimate reliability from the trusted name in storage. WD's high-performance, two-bay NAS works right out of the box featuring ultra-reliable WD Red NAS hard drives. Keep your photos, videos, music and files safe at home or your small office with access from anywhere. Choose from multiple backup options, stream large files to any screen and customize your NAS with a full suite of apps. Works right out of the box with integrated WD Red hard drives for ultimate compatibility in the unique 24x7 NAS operating environment. 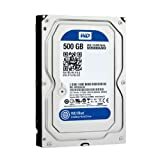 Effortlessly install drives or hot swap with ease. WD's powerful dashboard means you are always in control. Manage your data with RAID 0, 1; JBOD and spanning drive modes. Then, protect it with RAID 1, USB, cloud or LAN/WAN backup options. Ultimate reliability - WD's populated system comes complete with integrated WD Red NAS hard drives, pre-set in RAID 1 mode for ultimate protection for your data from the start. High-performance NAS - 512 MB memory and 1.2 GHz processor deliver reliable, fast performance for your home or small office. Drive management - Control your data with multiple drive management options including RAID 0, 1; JBOD and spanning modes. Data protection at its best - You're armed with multiple options to secure your data from loss. Choose from RAID 1, USB, cloud or LAN/WAN backup depending upon your data security needs. Easy to manage - A powerful dashboard means your system is always under your control. Monitor your drives, manage users and utilize energy-saving features. Email and mobile alerts keep you informed on My Cloud EX2 status. Award-winning mobile and desktop apps - With WD's My Cloud apps, you can upload, access and share your documents from anywhere. Conveniently transfer files from your public cloud accounts to My Cloud EX2 using the mobile app. Powerful apps to customize your NAS - Featuring industry-leading apps, including aMule, Transmission, Icecast, Joomla!, phpBB, phpMyAdmin, SqueezeCenter and more. For the most recent apps available, visit wd.com/ex2. Advanced serving options - Integrated file server, FTP server, backup server and P2P torrent download server. Stream media to your connected devices - Stream videos and photos to connected TVs, media players, gaming consoles and other DLNA/UPnP devices. Features a Twonky DLNA-certified media server. And with My Cloud EX2 iTunes support, you can easily stream your music collection. 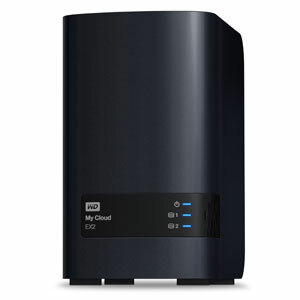 Back up, your way - Protect your data via remote backup to another My Cloud EX2 or My Cloud EX4, integrated cloud backup or local LAN/WAN backup. Enjoy peace of mind with WD SmartWare Pro for PC users and Apple Time Machine compatibility for Mac users. Expand your capacity - Simply attach a compatible USB hard drive directly to one of the two USB 3.0 expansion ports on My Cloud EX2 and instantly expand your storage capacity. 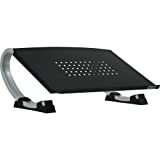 Energy-saving features - Save energy with disk spin-down and scheduled power on/off. Advanced features - A full suite of advanced features to power your home or office including: iSCSI target, full-featured FTP services, jumbo frame support, iPv4/iPv6 ready, UPS support (USB and network), real-time resource monitor, volume encryption with boot-up password, SNMP and virtual volumes. Your own personal cloud - Unlike public clouds, My Cloud EX2 allows you to keep all your content in one safe place at home or your office and access it from anywhere with computers, tablets and smartphones. No monthly fees. No limits. My Cloud personal cloud storage products work concurrently with multiple operating systems including Mac OS, Windows 8, iOS and Android with mobile apps. Two-bay personal cloud storage, Ethernet cable, AC adater, Quick Install Guide. Note: Compatibility may vary depending on user's hardware configuration and operating system.